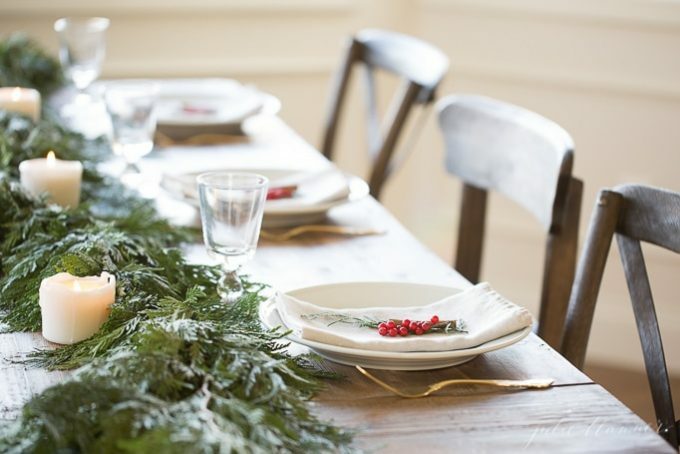 If you plan on setting your table for the holiday season, why not go for something that is easy, simple, and beautiful? Try this Red and Green Garland Centerpiece and Christmas Table Setting from Julie Blanner. It only takes 5 minutes to make this beautiful garland centerpiece and can be repurposed later in your Christmas decor!